Like any collection of short stories, this one is a mixed bag. 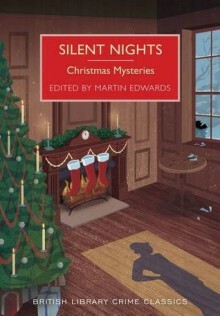 Martin Edwards is, of course, an expert in the stories and authors selected here, but as with his other selections, and indeed any other selection, his tastes and favourites are somewhat different to mine. And, let’s not forget that some authors are better at writing short stories than others. The authors selected for this collection seem to represent some of the big names of mystery writing, but not necessarily the ones who were good at shorts. Quick and fun but not difficult to solve. Ah, Father Brown, you observer of human frailty. Far superior to old biddy Marple but quite quaint … unless you happen to catch the BBC tv series or the 1960s German adaptation. Typical Wallace humour, I’d say. This one just felt like a rushed listing of plot points and character names. A fun Christmas country house jewel theft story. A fun Christmas country house espionage story. Waxworks turned out to be brilliant, tho probably better at home in a horror collection. Meh. Great concept but too drawn out. I guess, the length meant to give time for the suspicions to develop and linger, but it didn’t quite work for me. Also, I had predicted the ending rather early on. This one just did not grab me at all. In fact, I had to read several paragraphs two or three times, and still managed to fall asleep. I should have enjoyed this one more than I did – we had a number of clues to solve the puzzle and I loved the setting: starting on a train and with a background story of a great train robbery. (And I actually had to imagine P.D. with the voice of Sean Connery – until he said he was “English on the outside, Scotch on the inside”…). However, this one struck me as one where the author wanted to let us know how incredibly clever he is, and that dampened my enjoyment. This was an interesting one, but then I do love a locked room mystery. Much like The Name on the Window, this one was fun, even tho it bears a remarkable resemblance to a certain story featuring a certain Belgian gent.